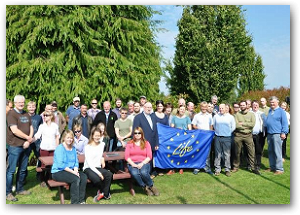 The RESTORE partnership (2010 - 2013) was made possible through the LIFE+ financial instrument of the European Union. The vision of the project was to encourage the restoration of European rivers towards a more natural state for increased ecological quality, flood risk reduction, and social and economic benefits. 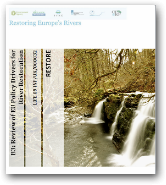 RESTORE aimed to provide a platform for effective knowledge transfer by developing a network linking policy makers, river basin planners and practitioners across Europe to share information and good practice on river restoration activities. RESTORE engaged more than 90,000 people through workshops, conferences, newsletters, articles, field trips, the website and general outreach. RRC was the lead in Western Europe. 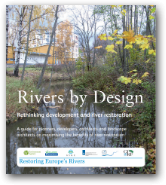 RESTORE delivered river restoration step-by-step guidance, a technical guide for planners and developers, a European database of projects (EU RiverWIKI), workshop & field trip reports and much more. 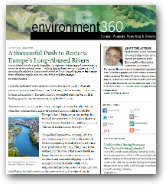 Fred Pearce writes an article for environment360 where he looks at the dramatic change in Europes's attitude to it's rivers. The article delves into issues with the Rhine, Danube and Thames amongst others. 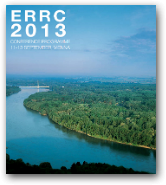 This link to the ECRR website provides a guide on river restoration. 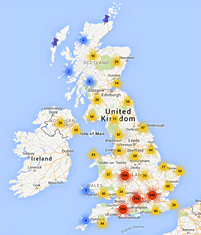 Frpm planning to constructing to sharing good practice this is a great resource to use. Layman’s Report highlights the achievements of the RESTORE projects. As well as this,it also looks forward to the future as it adresses the key issues and challenges that will be taken on by planners and policy makers. 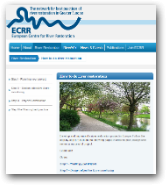 The RiverWiki is an online database for restoration projects across Europe. 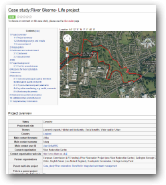 A wide range of information can be uploaded by anyone, including pictures, locations, and flow data. The wiki is a great resource that will be evolved and improved as time goes on. 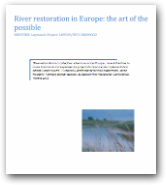 This guide looks at intergrating restoration with development. This is a key issue as global population contiunues to grow. The report includes a range of case studies and materials for planners to use a reference for their future projects. This report looks at the key drivers that have led to a need for more complex and intergrated forms of river management. The issues that member states need to overcome are also discussed with relevent examples.